Creation of die and die sets demanded by advanced forging techniques and processes. 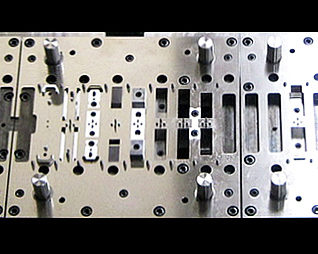 From the beginning, at Megatech we have done extensive work restoring, maintaining, and customizing precision die tools. Additionally, we are able to design and create die and related peripherals for highly sensitive and technical processes and consult on selection of the most appropriate and efficient press machine for your production schedule and plan. Through the years Megatech has distributed many types of press machines from different makers. At times certain companies have approached us for consultations about the best way to facilitate a product plan using a particular press. Using our experience and track record as a base, we work closely with the production company as well as with the press maker in creating the plan which best fits. When working in this capacity we strictly protect trade secrets on all sides while designing and manufacturing the most optimal Megatech innovated equipment for that situation. 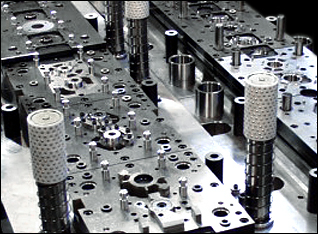 Everything from only precision die and tooling to press machines and your production schedule, at Megatech we are flexible in making sure all customer needs are fulfilled. Don`t hesitate to get in touch for any requests or inquiries you may have.